Are These Condiments In Your Pantry? If you're just setting up the house, you'll want to stock up on and keep some condiments on hand so you're prepared for just about any recipe. There's nothing worse than developing a craving for Swedish meatballs like Mom used to make only to discover that you never got around to buying brown sugar. And yes, brown sugar is a condiment — it adds flavor to food. 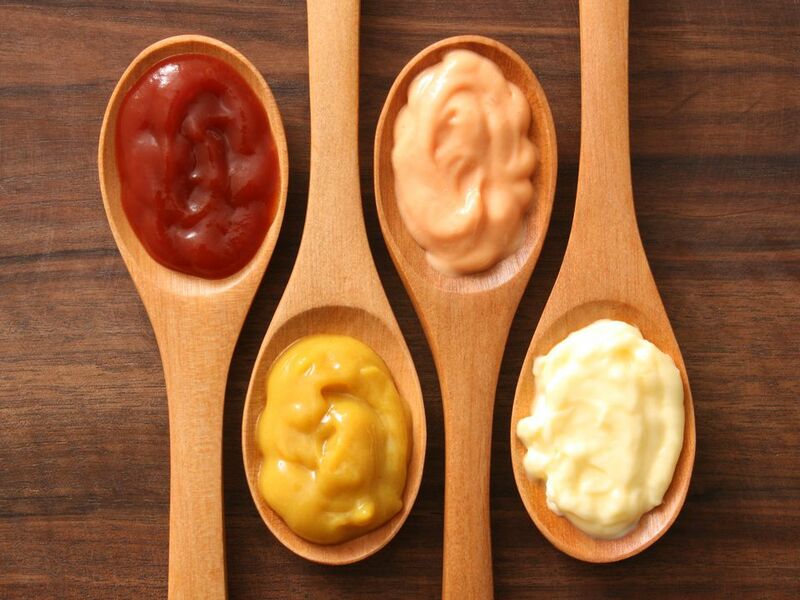 Condiments go well beyond the usual ketchup, mustard, salt, and pepper. You'll need those, too, of course, but a well-stocked kitchen requires more as well so you don't find yourself heading out the door to the market every time you want to cook. Here's a list of some things you'll probably want to keep in your cupboard or refrigerator. Take your own tastes into consideration when selecting your pantry basics — chili sauce isn't for everyone, whereas you might be a huge fan of Swedish meatballs so you'll definitely need that brown sugar at some point. Barbecue sauce: You can always make your own and that's probably ideal, but you might not have time if you suddenly decide to throw some ribs on the grill right before the game. Capers: These unripe flower buds of prickly perennial plants are indispensable in many Mediterranean dishes. Chili paste, powder, and sauce: This is another regional cuisine component, particularly Latin American and Thai, but chili has many other uses as well, such as pumping up salad dressing. Chutney: Chutney is an Indian condiment and there are a few varieties available made with different vegetables, fruits, and spices. Hoisin sauce: This is a must if you like to make Asian dishes. Honey: Whether you put it in tea when you have a nasty cold or you like glazed ham, this is one of those condiments that has enough uses to make it a kitchen must-have. Horseradish: It's not just a condiment — it has quite a few medicinal uses as well — but just try making a cocktail sauce without it. Hot pepper sauce: This is one that will depend on your affinity for fiery tastes, but you'll want it in your pantry if you like your eyes to water when you bite into your favorite dish. You can dash some into any number of recipes. Ketchup: Hot dogs. Hamburgers. Homemade barbecue sauce. Homemade baked beans. You get the idea — no kitchen can survive without this one. Maple syrup: This is a must-have if you love hearty breakfasts that include pancakes and waffles, but maple syrup is oh-so-much more. It adds just the right touch of sweetness to recipes from glazes to baked goods. Marmalades: About those hearty breakfasts — and grab-and-run breakfasts, too ... you'll want one or more marmalades on hand for your toast or bagels, and yes, for glazes and baked goods. Molasses: Nothing beats molasses cookies. This is also a critical ingredient in pulled pork and many Southern dishes. Mushrooms: Whether they're dried or canned, mushrooms have a place in myriad recipes. The canned or dried varieties are great in a pinch if you get a spur-of-the-moment cooking urge but don't want to run out to the market to buy fresh mushrooms. Mustards: From seeds to cloves to yellow to Dijon, you'll want a variety on hand if you like to cook. Oils: Stock up on the full range so you always have whatever you need: olive, safflower, soybean, canola, sesame, and peanut, to name just a few. Olives: Lay in both black and green olives. They have a place in salads, cocktails and numerous Mediterranean recipes. Pickles: Keep both sweet and dill on hand. Who knows what your guests will prefer? Salsa: This is a must-have for Latin American cooking, and for many snacks. Soy sauce: Even if you order take-out Chinese, you won't have to wrestle with those tiny, awkward plastic packages they send with the food. And restaurants never send enough soy sauce packets, to begin with, so you'll want this in your cupboard. Teriyaki sauce: You'll need this for a lot of your favorite Asian dishes. Tomatoes: Sun-dried tomatoes have a place in every kitchen. They'll keep up to two years when they're packed in oil and unopened. Vinegars: Whether it's balsamic, cider, red wine, white wine or rice vinegar, you'll need it sooner or later. Worcestershire sauce: This is a unique taste that many cooks find they cannot do without. It's fermented and complex and has a place in meat and fish dishes, as well as in cocktails. Keeping your pantry stocked isn't a one-time deal. You'll use things up and many condiments have definite shelf lives when they move from your cupboard to your refrigerator after you've opened them. Check the labels for expiration and "use by" dates and try to remember to buy another for backup the next time you're out. What Are Some Easy Ways to Soften Hard Brown Sugar? Do You Know These Sneaky Non-Vegan Ingredients?